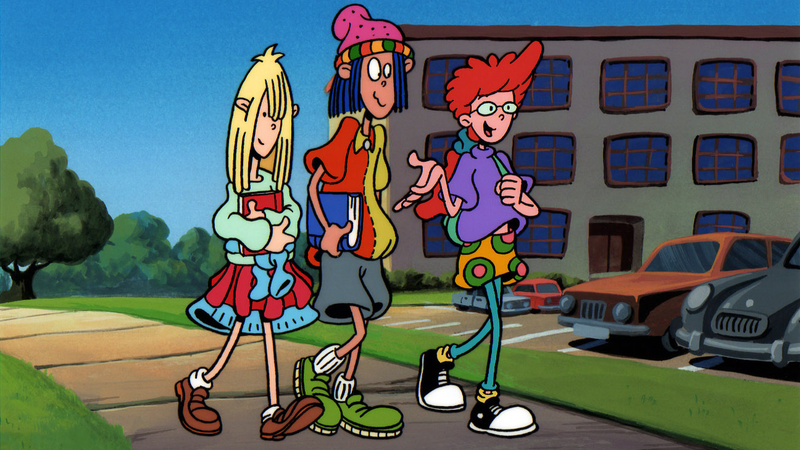 (Synopsis en français indisponible) Pepper Ann is a freaky 12 year old who’s slicker than grease in this hilarious cartoon where she’s on a neverending quest to be cool! With her 2 good friends Nicky and Milo, they can conquer anything! (This cartoon takes place in Hazelnut) Theme Song: Who’s that girl? Pepper Ann! Is she lame? Is she breakin’ every rule? Marchin’ in her own parade. Pepper Ann, she’s like one in a million! Much too cool for seventh grade. Catch ‘er if you can, Pepper Ann! Who? Is that that girl from gym class?